How to Fix Error Code 0x80190001 on Windows? Home »	Fix » How to Fix Error Code 0x80190001 on Windows? Issue: How to Fix Error Code 0x80190001 on Windows? First of all, I noticed that I can’t login to Windows Store due to the error code 0x80190001. Soon after that, Xbox also failed to run due to the same bug. Could someone please help? An increasing number of threads regarding 0x80190001 error has been noticed. This bug check is not new in Windows history, but apparently it has migrated from Windows Update service to Windows Store and sometimes Xbox. 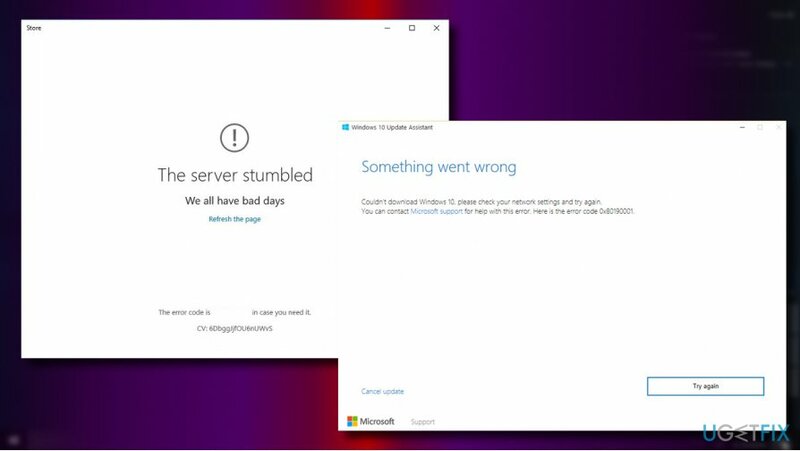 Actually, the occurrence of the 0x80190001 error on Windows Store and Windows Update is related. If Windows Store service fails to work, the download process of the latest updates is blocked or temporarily limited. Scan the system for malware. 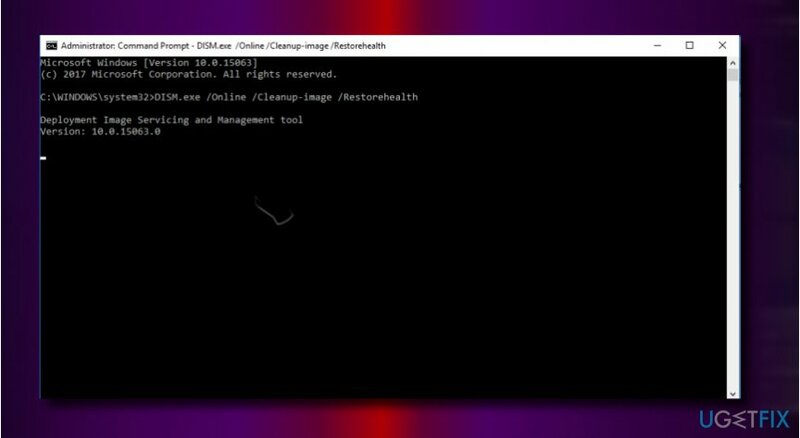 Run a scan with a professional anti-malware utility. We recommend Reimage. Run inbuilt Windows Update Troubleshooter and Windows App Troubleshooter. 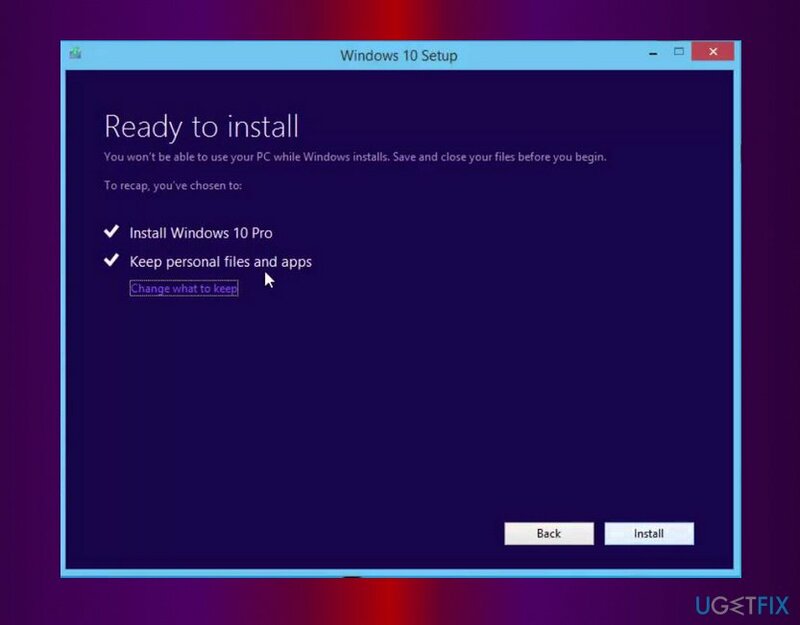 1.Navigate to the Microsoft’s Windows 10 upgrade website. 2. Click on the MediaCreationTool.exe file to download it. 3. Read the EULA and accept the terms if you want to proceed. Click Upgrade this PC. 4. Click Next and then check the Keep personal files and apps option. Otherwise, all personal information will be wiped out during the upgrade process. 5. Finally, click Install and wait for the process to be finished. 1. Press Windows key + I and open Update & Security section. 2. 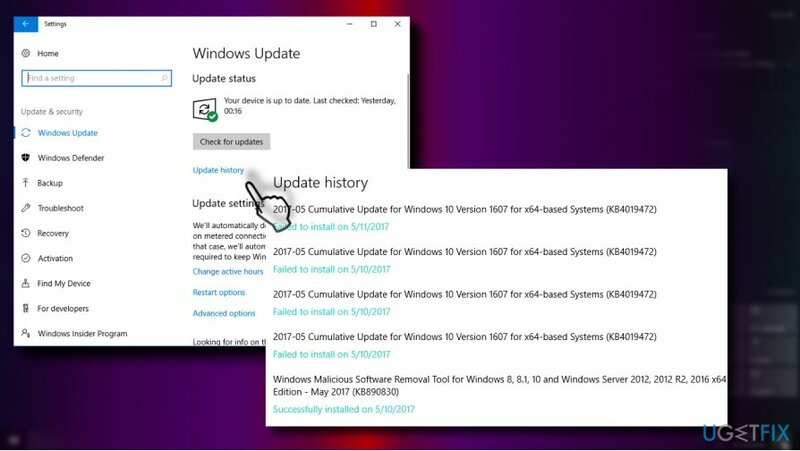 Click on Windows Update link and locate the latest Windows 10 Knowledge Base (KB). Copy it and paste in a word or notepad file to have by hand. 3. Then open the official Microsoft Update Catalog and type in or paste the KB code into the search box and hit Enter. 4. Click on the KB’s download link, wait for the item to be downloaded and save it to the selected location on your computer. 5. Open the downloaded patch to start the update process. 1. Right-click on Windows key and select Command Prompt (Admin). 2. If required, type in the administrator password and click Yes. 1. Open Control Panel and select Date & Time. 2. Open Internet Time tab and click Change settings button. 3. 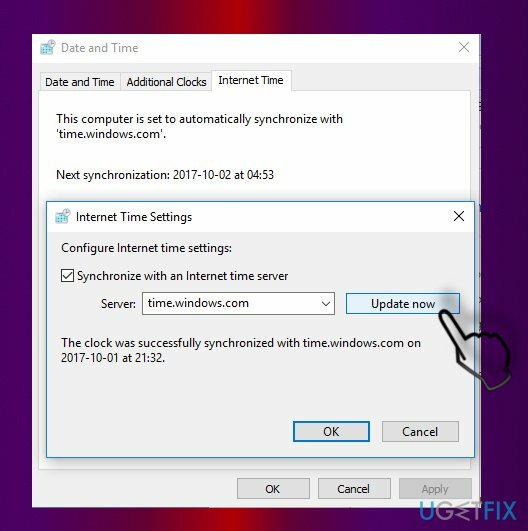 Place a tick on Synchronize with an Internet time server and click on Update now button. 4. Click OK and close the Date & Time window.